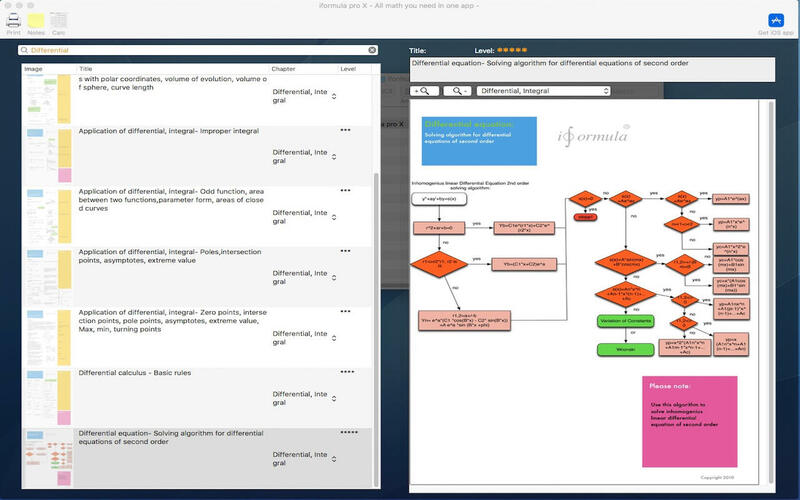 iformula pro X is an intuitive higher mathematic formula equations library, with all math topics you need to do your math work. It is full searchable, well illustrated and helps you to learn new math equations or to remember equations fast and effective you have learned years before. It assists you with your higher math homework for your math high school course or for university, or to solve math problems or to support you writing your thesis or doctoral dissertation or just for exercising ! 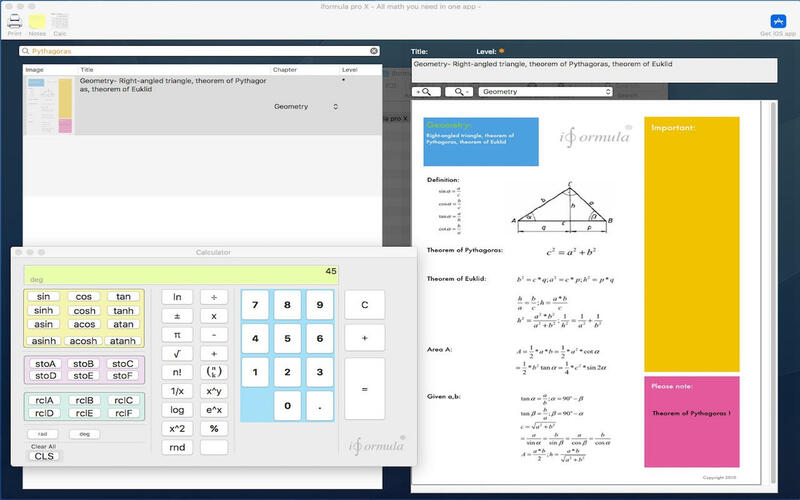 Searching the Internet for hours to find a simply equation belongs to the past, iformula pro X includes all math topics you need ! Improved graphic user interface, improved scientific calculator, graph removed !